On Avast’s website, you’ll find a variety of free tools you can use on mobile, PC, or Mac. Available for iPhones users only, SecureMe is a great tool to use when you’re connected to a public WiFi connection. 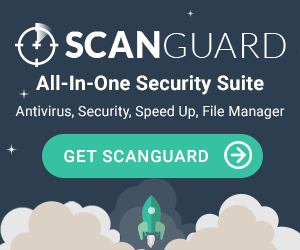 This tool protects your information and even scans for security issues before your device connects to an unsecured network. Also available exclusively for iPhone users, Avast Photo Space reduces the amount of space used by the photos on your phone by optimizing them. This allows you to have more space available on your iPhone without getting rid of your photos. Avast also provides two free, useful tools meant for a wider variety of devices. If you have too many passwords to count, download Avast Passwords on your Android, iPhone, PC, or Mac. This easy-use password manager will keep all your passwords secure in one place and make it easier for you to login to your online accounts. Available for Android and iOS devices, Avast’s WiFi Finder helps you connect automatically to the closest available WiFi open network. All these tools are available on their website, Apple Store, and Google Play Store and can be easily installed to your device. There are four tiers offered by Avast Antivirus: Free, Internet Security, Premier, and Ultimate. The free version of the software offers basic protection and includes great tools like the WiFi Inspector. The paid versions of the software all have 30-day free trials that you can use to test out the software and determine which one better suits your needs. Unlike other antivirus softwares, Avast gives you the ability to protect your computer and your mobile device for free. Visit the Apple Store or Google Play Store and download any and all Avast apps that you think will be most useful for you. Protect your business like you protect yourself. If you are currently using Avast Antivirus at home, try the Avast Business Antivirus products for your business. You’ll be familiar with the user interface and quality protection offered by Avast. "I am a big fan of Avast Pro Antivirus simply because it is very user-friendly and very easy to install. There is step by step guides and once you install it, Avast runs quietly in the background. You get a Wi-Fi scanner that scans your connection for security problems and you also get an awesome software update tool that looks for things like security patches and alerts you when they're found. All you have to do is click 'update' and Avast goes to work. Avast will scan links while you're browsing the internet to determine if they're safe or not to click on. I trust this product and run it on my own computers and have never had a problem nor have I ever had any computer issues while running this software. I recommend this product to family and friends and will definitely purchase it again.